If you get a speeding ticket or another kind of traffic ticket or moving violation in a rental car, the rental car company may not ever find out about it. It's up to you to pay the fine, but there will not necessarily be an additional fee from the rental car company. While parking tickets are tied to the car, speeding and other types of traffic tickets are not. 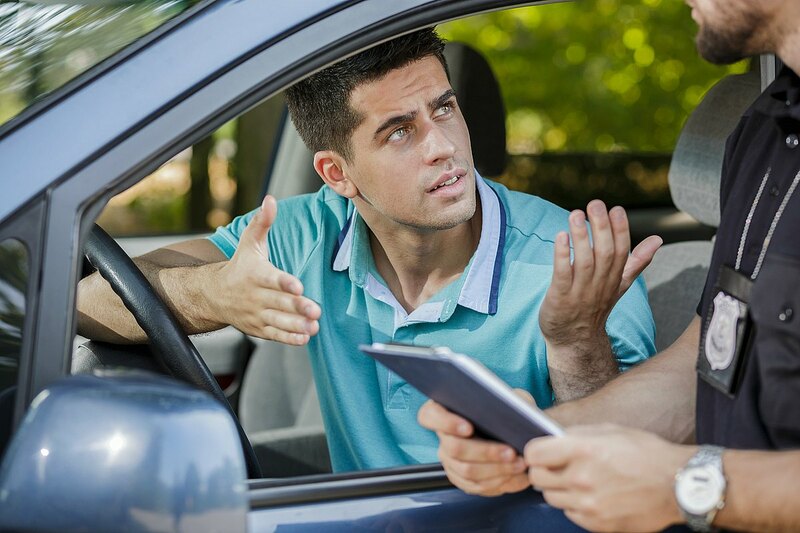 A moving violation is tied to you, the driver, and your driver's license. You are responsible for your actions, regardless of whether you are driving your own car, a friend's car, or a rental car. If you get pulled over by a police officer who issues a ticket, you should handle it quickly on your own. Typically, the best thing to do is simply pay the ticket. Somewhere on the ticket there will be a section that details multiple ways to pay the fine. Typically, options include paying by phone and paying online. If at all possible, choose one of these quick fixes and be sure to keep a confirmation. It's trickier if you get a ticket in a rental car without even realizing it. These days, many moving violations are charged without the driver's knowledge, thanks to laser technology and red-light cameras. Since the municipality where the offense took place has no way of knowing who is behind the wheel, it will use a photo of the vehicle's license plate to track down the car's owner—which would be the rental car company. You may not even know that you committed the violation at the time when you return the car. In this case, the rental car company will receive the ticket and then pass that bill to you, along with an administrative fee. In addition, the rental car agency will share your driver's license information with the authorities. Unpaid fines will eventually be sent to a collections agency and may even lead to a suspended license. If that happens, you might end up on the rental car company's dreaded Do Not Rent list. If you believe the parking ticket was issued in error, you can contest it directly with the authority that issued it. You won't be able to resolve a ticket with the rental car company, as it will defer to the municipality. The contact information for the ticket-issuing authority will be on the ticket itself. In some municipalities, drivers can contest tickets online. If this option is available, take it. It's fast, relatively easy and avoids wasting hours of your time. If there is no online option for disputing a ticket, you can sometimes do it by mail. But be aware that you may have to appear in court or hire a local attorney to appear on your behalf. In this scenario, fighting the fine could end up costing you more than the fine itself.